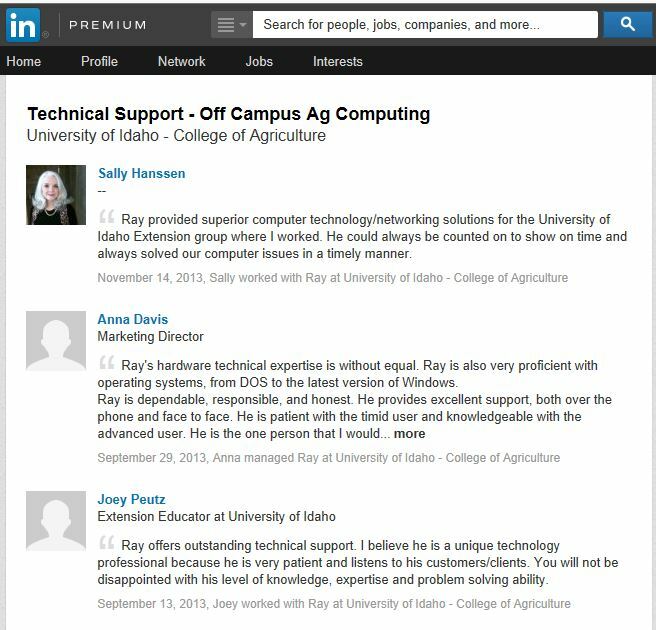 March 2014 - Computer Desktop & Laptop Repair & Services - Boise Idaho - "Reducing Computer Frustration One Problem At A Time!" 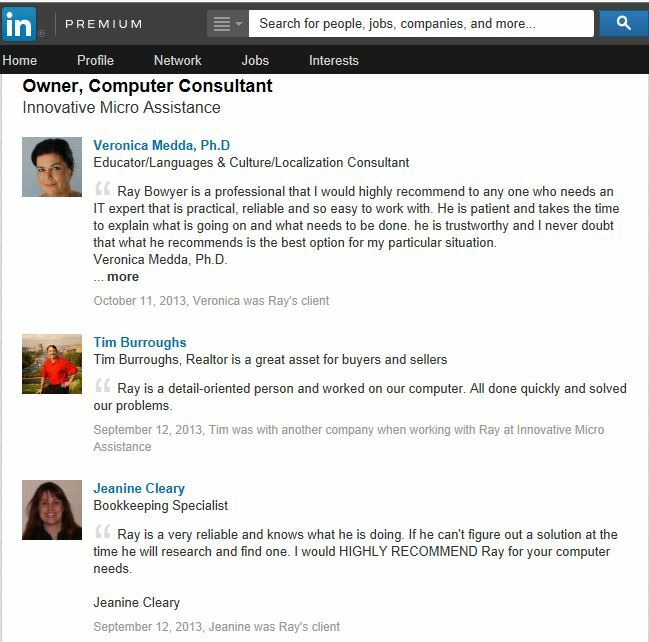 How do you promote your business online? By Social Media? Other Methods? 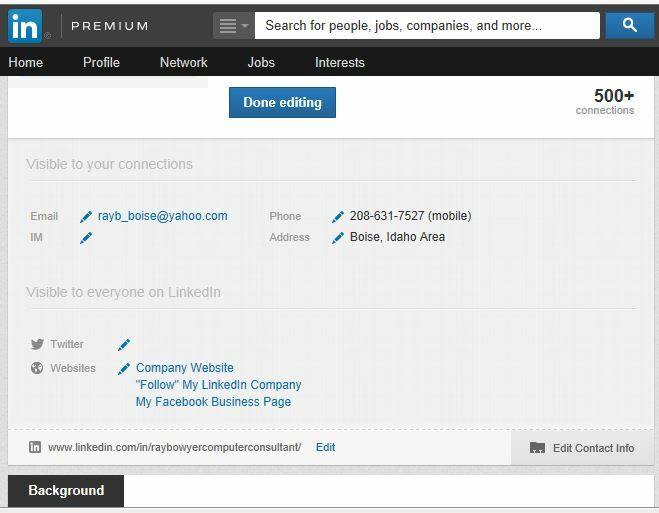 LinkedIn – are you missing connections because or your LinkedIn Profile Summary or your LinkedIn Profile Picture? 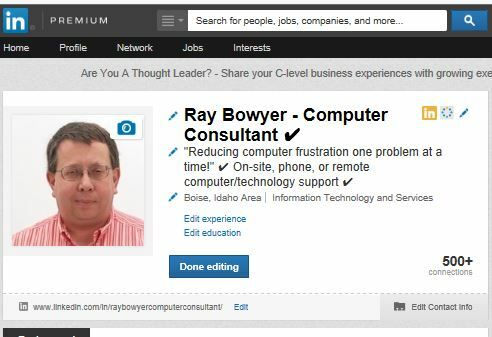 LinkedIn – are your profile settings stopping people from contacting you or connecting with you? 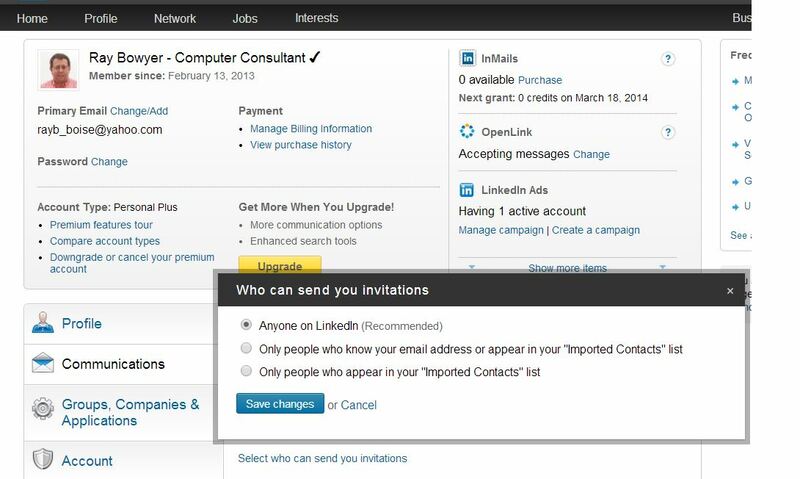 LinkedIn(Reason 2) – are your profile settings stopping people from contacting you or connecting with you?